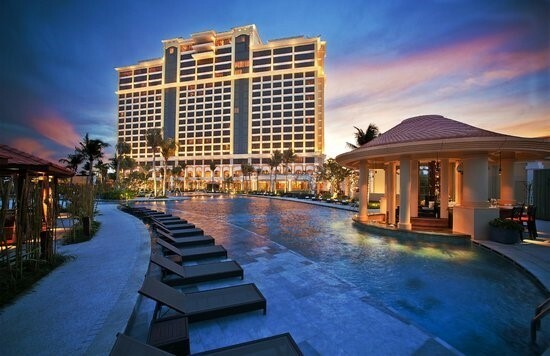 The Grand Ho Tram Strip, Southeast Asia’s first integrated casino beach resort, is situated in Ba Ria Vung Tau Province. The integrated resort includes a 541-rooms, as well as world-class restaurants, shopping and entertainment amenities. The resort’s second wing expands its capacity to 1,100 rooms. The project also includes The Bluffs, an 18-hole championship ocean-front golf course.